The mechanics behind our family of Charcot Marie-Tooth (CMT) braces centers around the medial strut design. The medial strut folds into the footplate in the arch area, making the brace very stable when patients are in midstance. This provides the CMT patient with good standing stability. It also provides proprioceptive feedback higher up the leg to aid in controlled standing. We offer three proximal options to the medial strut design: anterior shell, which produces a ground floor reaction that stabilizes the knee; posterior calf, which aids in knee recravatum control; and our standard “T” top that aids in knee control in both directions. Tri-planer control is achieved in the coronal plane with the use of a proximal strap and a distal supramalleolar strap. Further control can be achieved by using our CMT footbed, which has a lateral wedge running from the heel to the base of the fifth metatarsal head. For more control, a lateral half supramalleolar orthosis (SMO) can be used to provide maximum varus control by linking the SMO to the supramalleolar strap. This secures the lower extremity, creating a triangle of forces to control the CMT patient’s tendency to roll into varus. This is what gives our CMT patients good standing stability. In the sagittal plane, midstance standing stability is achieved as the medial strut joins the foot plate. 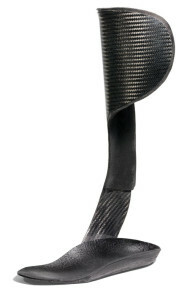 The strut is constructed with internal core material that makes it rigid without adding weight. The heel section of the AFO bends and deflects during walking to provide soft initial contact with the floor. This transitions to midstance. At toe-off the front of the footplate deflects, storing energy, then springs forward at the end of toe-off. 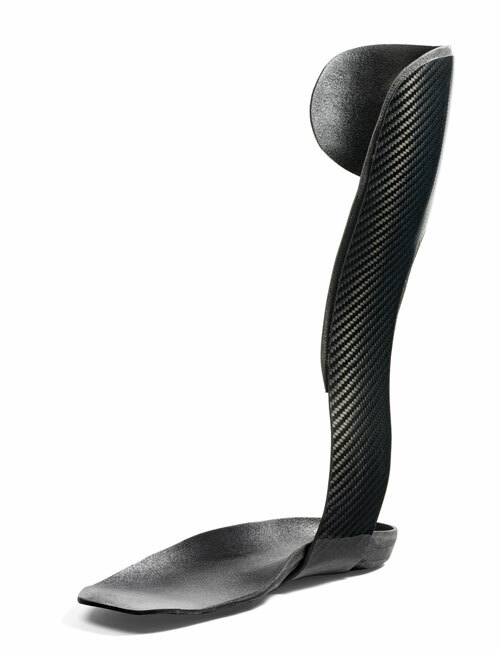 The end result is an AFO that provides great midstance control without interrupting the rockers of gait. Proximal transverse plane control comes from the intimate fit that a custom-made brace provides around the tibia. Distally, our CMT footbed and SMO options provide rotational control while keeping the bulk of the AFO to a minimum in the shoe. The end result is that CMT patients can walk farther with less energy, walk normally (heel-to-toe gait), and have greater stability and confidence in any task they set out to do. Standing stability is also improved. Improved standing stability also reduces fatigue and allows the AFO wearer more freedom to just stand with a drink in their hand without looking for something to lean against. In summary, patients experience improved walking ability, improved proprioception and standing stability, reduced energy consumption, and greater confidence. Because all of our CMT AFOs are custom made, many of the optimizations are made during the manufacturing process. The information from the order form is used to customize each AFO. Options, such as the addition of ankle straps, alterations to the footbed, or SMO trimming, can be made by the orthotist. Most of the time the orthotist has little work to do when fitting our CMT AFOs. Our warranty against defects in materials and workmanship is for a period of six months from the date of manufacture. During the first six months a free replacement will be issued for the defective AFO upon its return and inspection of defect. One free replacement made from the original mold will be issued in a calendar year per patient. From seven to 12 months after manufacture, a prorated warranty will be used and charges will be adjusted accordingly. Skin contact parts (foam and straps) are warranted against defect in materials and workmanship for 30 days from the date of manufacture. Warranty against fitting issues, if accomplished within the first 30 days, are no charge. Our return policy is handled on a case-by-case basis. Another benefit of our AFOs is that minor problems can be repaired. This can be accomplished even after the warranty period for a reasonable fee and eliminates the need to replace the entire AFO. Many times I meet individuals with CMT who have had a long history of bracing. They typically mention many positives and negatives of each and every device. Spending time reviewing these devices and the patient’s feedback will help establish a successful plan for a new device. A thorough evaluation also includes assessment of muscle strength, range of motion, balance and coordination, walking speed, calluses, footwear, activities of daily living, and patient goals and needs, as well as gathering information about assistive devices used. Gathering subjective and objective information may help in your decision-making process. The following are case studies describing the outcome of a Custom Composite AFO and Kinetic Research AFO. The patient is a 68-year-old man with the diagnosis of CMT1A. He is the first known case of CMT in his family. He has children in their 40s who may have CMT, but at this point the condition does not interfere with their activities of daily living and lifestyle. He has a 15-year history of wearing an AFO. Currently, he’s wears bilateral polypropylene semirigid AFOs that he has worn for approximately the last eight years. These devices are set in approximately 1° to 2° of dorsiflexion, with one proximal calf strap used to secure the devices to his limbs. There’s no soft interface. He uses a single-tip cane to assist with balance and stability. He walks at a slower pace and is very focused on his balance and stability. He has significant muscle wasting distal to his knees; he is unable to actively dorsiflex (grade 0) his foot, and his plantar flexors (grade 1) are extremely weak. He has 1° to 2° of passive dorsiflexion range of motion around his ankle joint in subtalar neutral. His hindfoot can be brought to neutral, but there is no eversion of the calcaneus. He has mild plantar flexion in his first ray that causes his forefoot to drive his hindfoot into a few degrees of inversion. He has a subtle cavus foot with some callousing under the base of the fifth metatarsal. He feels that his braces are too heavy and he would like to improve his balance, stability, and confidence, and also increase his activities of daily living. After his long history of a semirigid AFO and the progression of his CMT, it was decided that a custom-carbon and equally supportive device would offer support to his weakened muscles and allow him to accomplish his activities of daily living with greater stability. 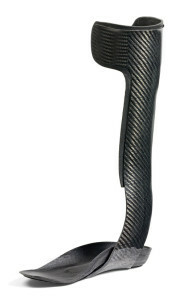 The Custom Composite AFO was selected due to its light weight and strong design. 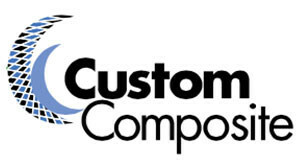 Although Custom Composite has many designs to choose from, a stronger semirigid design was selected to achieve his goals. A removable insert was created to allow adjustability during the initial fitting and to fulfill future needs. A proximal calf and ankle strap was used to secure the device to the patient. Some of the subtle features of this design can have a powerful impact on the user with CMT. The light weight of the carbon AFO allows a smaller device with the same support as a heavier device. Although the energy expenditure is hard to calculate, it is often the first noted feature from the patient. The removable soft insert has lateral posting to reduce inversion instability and serves to translate the forces toward the first metatarsal. The addition of a strap across the dorsum of the foot allows the patient greater connection to the overall device. When first standing the patient reported greater stability with the devices. He reported that this is largely attributable to the soft insert within the device because he feels his foot is more flat on the ground. The lateral postings serve to reduce the torque caused from his plantar-flexed first ray. Once his balance and stability was gained in a static position he began to walk. His initial comment was how much lighter the devices felt compared with his older polypropylene design. This always seems to be a very powerful feeling for the patient. He reported greater stability, confidence, and speed while ambulating. He also reported that he feels he is less focused on thinking about steps and believes he needs less support from his single-tip cane. Once final adjustments were completed he took the device home and will return in a few weeks for an evaluation of the new devices. Patient currently reports he does feel that he is able to complete more activities of daily living throughout the day. He believes this to be attributable to the lighter weight, better control, and stability created from the design. He reports that he concentrates less and also makes fewer corrective steps as he walks. Clinical observation shows he walks faster and is using his cane minimally. His standing stability has greatly improved and he is much more confident ambulating. He will be followed up in six months. Most CMT patients present with neurological deficiency causing foot drop, but later progress to a loss of balance. This loss of balance due to a decrease in proprioception leads to a constant readjustment of foot position to maintain standing balance.